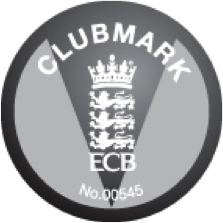 In 2010 Roffey Cricket Club attained official club mark status. This national award: “values the commitment made by sports clubs to develop high quality, welcoming environments for young participants”. Various roles were developed and plans put in place within the club to support our application. The addition of a Child Welfare Officer coupled with our ever expanding group of ECB qualified, CRB checked coaches shall ensure that we continue to offer a fun and safe environment for young people to enjoy cricket.